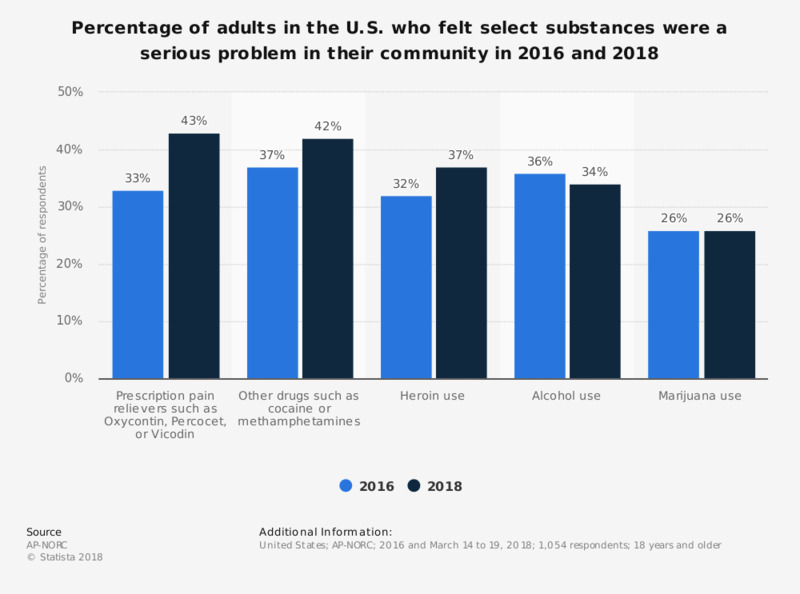 This graph shows the percentage of adults in the U.S. who felt select substances were a serious problem in their community in 2016 and 2018. In 2018, the percentage of respondents who perceived prescription pain relievers as a serious problem was 43 percent whereas the share of respondents who perceived the same for marijuana remained at 26 percent. Original question: In your community, how serious a problem is [ITEM]?